Convivium: Ray, can you summarize for Convivium readers the main findings of our latest Angus Reid polling on the state of faith in Canadian life. This is the third release of data. What picture is starting to emerge? 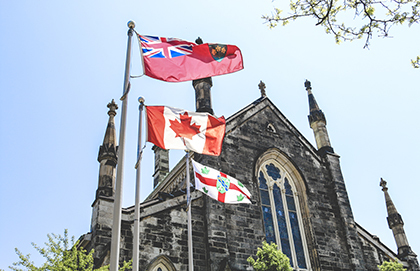 Ray Pennings: To put the polling in context, we're partnering with the Angus Reid Institute to take a look at the state of faith in Canada at the occasion of the sesquicentennial. The earlier polls focused on faith in the present. We looked at degrees of commitment to faith, and how that is expressed. This poll focuses a little more on the past of faith. One of the things we wanted to do was identify the degrees to which Canadians recognize the expression of faith in their community and in their neighbourhoods, whether in hospitals, in the care for immigrants or in all the different institutions that were formed and motivated by faith communities that have a very real part to play in the day-to-day lives of Canadians. What is interesting about this poll, the overall story of it, is that generally, Canadians value those institutions, and the things they do. They see there is good and bad in the various institutions, but much more good than bad. Regardless of where you are on the faith continuum, that is the response of most Canadians. Convivium: That must be a really good statistical news for things like the Halo Project for the Cardus Social Cities program, which calculates the economic value of faith based initiatives for a given community. Ray Pennings: Yes, I think absolutely. I go one step further. There are some negative numbers, and numbers of concern when you ask about national values for faith, and faith as institutional. But when you ask about the particulars, they're very positive numbers. Interestingly, the more specific you get, consistently there's about 25 per cent of respondents who basically say, "I don't know, I can't answer that." When it comes to the response of faith communities to Indigenous issues - and we had a whole section in the poll highlighting the relationship between the Church and Indigenous communities - right across the board people of faith are no different than people who don't have faith in the sense of expressing concern. There's a national consciousness that it’s a dark chapter of Canadian history. In fact, the more committed you are to your faith, the stronger you are about the need for reconciliation. C: What else do the numbers shows on that issue? We now know statistically what we knew more intuitively and anecdotally: that it was necessary to organize Faith in Canada 150 because there was nobody else doing it. No one else knew it needed to be done. RP: Almost half of the people when asked, "How is this reconciliation being expressed?" would say, "I don't know." They had nothing to say, so it speaks to an amnesia and illiteracy about faith and the expression of faith in the community. You ask people about faith and the knee-jerk default reaction is, "Oh we're Canadian, we don't talk about faith, we're you know, a secular society." Yet when you say, "Okay, we're a secular society, but what about the old age home? What about the care for the immigrant? What about the care for the poor?" The response is: "Oh, no, that's a very good thing." Now, you push it one step further and they say, "Well, to tell you the truth, I don't know that much about it." So, I think this poll speaks to an opportunity and a challenge for Canadians, in the sense that while ordinarily we would not say that faith is a Canadian value, the poll speaks to and exposes faith as an unarticulated Canadian value. People see and appreciate faith as lived every day in their own neighbourhood. C: One of the numbers I saw shows a fair bit of ambiguity around actual places of worship in neighbourhoods. Some people think they are a source of comfort. It's nice to have a church on the corner. Other people are almost hostile to the idea of having anything that is institutionally emblematic of faith in a neighbourhood that they might live in or even travel through. RP: It's interesting in terms of the physical expression of faith, whether mosques, synagogues, and churches in your neighbourhood. Across the board, whether you're a believer or nonbeliever, more than half said it's neither a positive nor a negative. It's no big deal. Those who are religiously committed are much more positive. Nonbelievers are negative, but not hugely so. 19 per cent of nonbelievers are positive as opposed to 28 per cent being negative, with more than half saying, "It's no big deal." It’s not the physical thing. That’s live and let live. It's when you deal with expressions of faith, when you ask people directly about (abstract) faith, that they're negative. Yet if you ask people directly about faith lived, most of them are positive, even nonbelievers. C: There was a news story this week that the Quebec Government will give several millions of dollars to the Catholic Archdiocese of Montreal for the restoration of churches. Obviously there is a historical reality to faith in Quebec that shows up politically through such use of public money. Yet outside Quebec, as I understand it, the numbers show that when Canadians are asked about formative intuitions in our history, faith institutions rank at the bottom. Canadians think the country was built by a lot of institutions, except those of religious faith. RP: I think that speaks to the national narrative that we provide through the media and through government in terms of who we are as Canadians. We don't talk about faith. Faith in Canada is not a funded initiative for the celebration of the Sesquicentennial. But a big red chair and big red bouncing balls and all sorts of over things across the country are said to capture our Canadian-ness. The first question we asked on the poll was to get a positioning of faith. So we asked about the RCMP, labour unions, various other institutions, and faith did come at the bottom. A third of Canadians, though, were very positive about it being a formative institution in our nation's history. I think what that is speaking to is not so much how people view faith, but their understanding and their (historical) literacy. We're celebrating Canada 150, the RCMP is providing the security detail for the Queen, that makes the news. The various expressions and everything else make the news, and faith communities by and large are missing from the public celebration. That narrative, reinforced over and over again, speaks to the importance of the project that Cardus has undertaken in terms of Faith in Canada 150. C: We now know statistically what we knew more intuitively and anecdotally: that it was necessary to organize Faith in Canada 150 because there was nobody else doing it. No one else knew it needed to be done. RP: Absolutely, and I think more than just the cultural amnesia and the narrative, is that we have a generation without a religious vocabulary. Everywhere else in the world, except for Europe and North America, faith is on the rise. Even in Europe and North America, the secularization thesis has largely been debunked. Our poll shows 80 per cent of Canadians, at some point in the last month, have prayed or read a sacred scripture. More than two-thirds say they think at least once a month about a greater power or a God. It doesn't have institutional expression, though. We don't have the language and the vocabulary that a previous generation had to talk about these things. Nor do we necessarily understand their implications for public life. But dig down, ask specific questions, and more than half of Canadians say, "Yes, faith is part of my identity and shapes my decision making." In this poll we're seeing when they look around in their neighbourhoods, and say, "Yeah the stuff that faith communities do is really central and they're important, and help define the Canada that I'm celebrating on the occasion of its 150th birthday." C: Was there any work done around when the values of those institutions conflict with other so-called Canadian values? RP: There will be a third round in the fall in which we're going to get much more in terms of some of the conflicts, as well as the future. The rough framing of the polling has faith in Canada present, faith past in is this phase, and in future. Some of those challenges are going to be explored in much more depth in the next round of surveys expected in the fall. C: It’s a staple of Canadian discourse that when a hospital with a faith tradition, won't do abortion or euthanasia or so on, there is a cohort that says, "If they're getting public money, they’d better abide by what we believe." RP: And yet polls suggest that in some segments of the country there's very strong support for institutions to express their religious freedom, and that this, in fact, is a vocal minority. We asked the question, "What kind of overall impact would you say religious and faith communities have had on the development of your community over the years?" Overall, 45 per cent are positive, only 13 per cent are negative, that's a difference of 32 per cent. 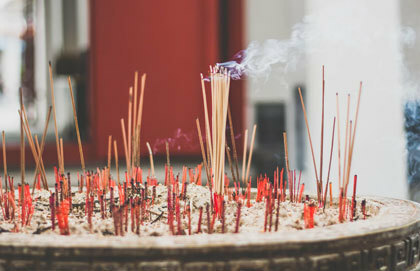 If you take that 19 per cent of the population that calls themselves nonbelievers and is hostile to faith, a figure reflected throughout the polling, only 16 per cent are positive about the impact of religious and faith communities, 37 per cent are negative. That's a negative 21 per cent. We know this is about the 19 per cent of Canadians who call themselves nonbelievers, they are younger, and they are overwhelming male. So, there is a young male cohort that is hostile to religion and that expresses itself persistently throughout the poll. Factor out that number and the other numbers would be huge. I don't mean to dismiss that cohort. They are real, and we have to deal with them. But let's leave them out of the picture for a moment. For 80 per cent of Canadians, the vast majority, there is an appreciation and an understanding. The polarization that we see happening to faith is not part of their vocabulary. They are actually very responsive, and very supportive for the expression of faith lived in everyday life. They see it as part of their neighbourhood. They understand it as part of the Canadian fabric. C: Does it have applicability beyond Faith in Canada 150 to Cardus's broader mission of fostering strong mediating institutions? Is there a message that if those intuitions are active at a local level, people come to an appreciation of them. If they're a kind of political vague abstraction, people really don't want to have much to do with them. RP: I think it speaks to the challenge and the opportunity we have as a pluralistic, multicultural society. If we're going to live together in our differences, we need to spend time with people who are different to understand and learn about their different behaviour. I don't want to be snarky about this, but when I think of this young male population, my sense is that they spend a disproportionate amount of time on their computers in their basements defiling Twitter as they go. That seems to be the place where their expression comes from. What I would highlight is those institutions aren't real institutions. They're very shallow. So there's a sort of online discourse that happens, which is incapable of building the sort of relationships that we need to do. It's one of the reasons, as part of our celebrations this week, that we're bringing together 75 millennials, young Canadians of various faith backgrounds who are keen on expressing their own faith in public but also to learn to live alongside other Canadians with whom they have significant religious difference. We're bringing them together, not for speeches, but for dialogue, for conversation because that's really where the understanding and the vocabulary to speak about what it means to live a public life together will be developed. C: A last question about that vocabulary. We had a relatively young prime minister wearing socks celebrating the end of Ramadan while he was at the Gay Pride Parade in Toronto last weekend. Is that emblematic of where Canadians are in terms of our understanding of pluralism? RP: I hope not. It is very symbolic. Whether it's the socks, whether it's the hashtags so on, there's a surface sort of pluralism that is there that would appear to be very tolerant, but doesn't dig in or take the time to understand, appreciate or even respect differences. In our poll, we talked about reconciliation with Indigenous Canadians. What is interesting is when you stop and think about ... Indigenous Canadians are more religious than non-Indigenous Canadians, and not just in Aboriginal spirituality although there are various versions of that there. Many of them are Christian, and belong to other faith groups as well. What is interesting is that if we want to deal seriously with the Indigenous reconciliation with our Indigenous neighbours with whom we share this land, we need to do so in a holistic way because that’s the only way to show respect. They understand themselves as being body, mind, and spirit. They look for relationships. They're not looking simply for court settlements and contracts. They're looking for genuine relationship. Anyone who's done any work in Indigenous communities will understand it takes the time of building of relationships and the respect shown through the relationships, that is a prerequisite for former reconciliation that has been sought. I don't think that's captured in a set of socks.